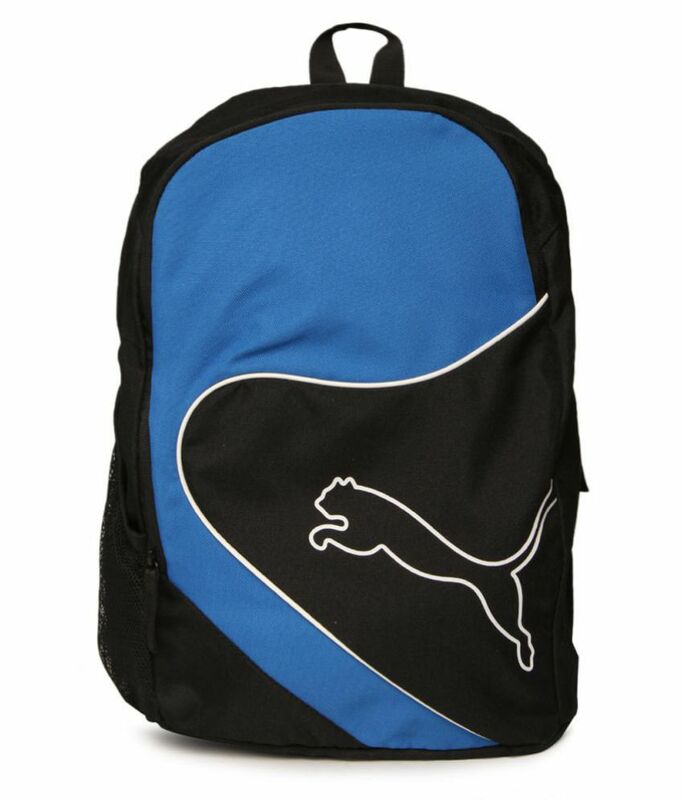 This Puma backpack has its brand logo standing out in a hypnotising pattern on the front panel. 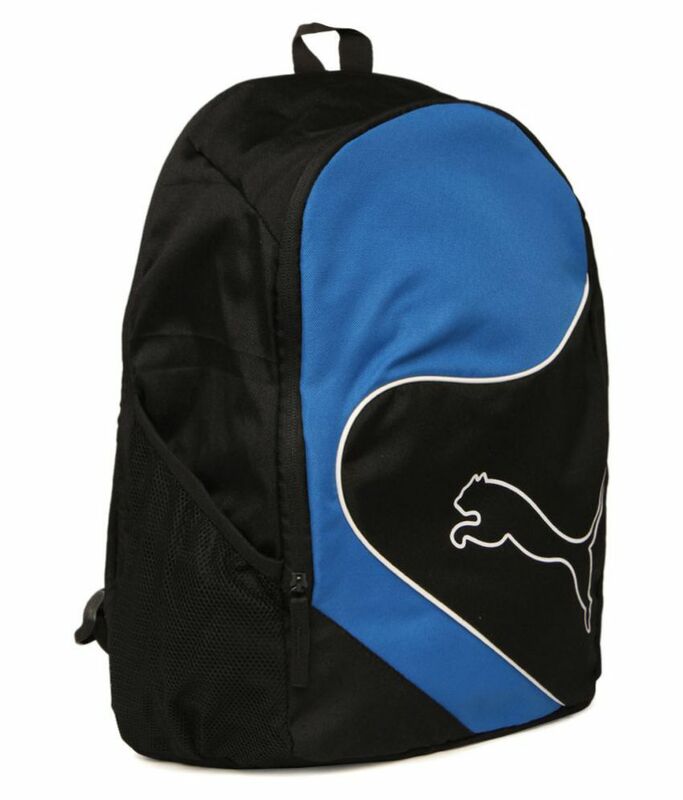 This bag consists of 2 zippered pockets with a mesh sleeve at the side to keep your water bottle. It measures 40 cm in length, 14 cm in width and 59 cm in height. It is made of polyester material that is long lasting and also has the benefit of being waterproof. 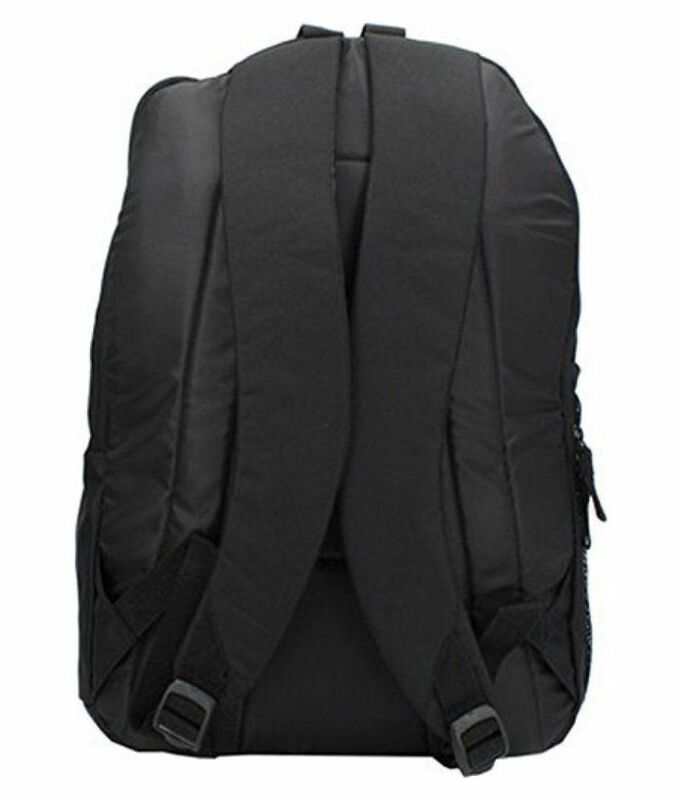 As it is also designed with cushioned shoulder straps, it would enhance your comfort level and make you travel with ease.